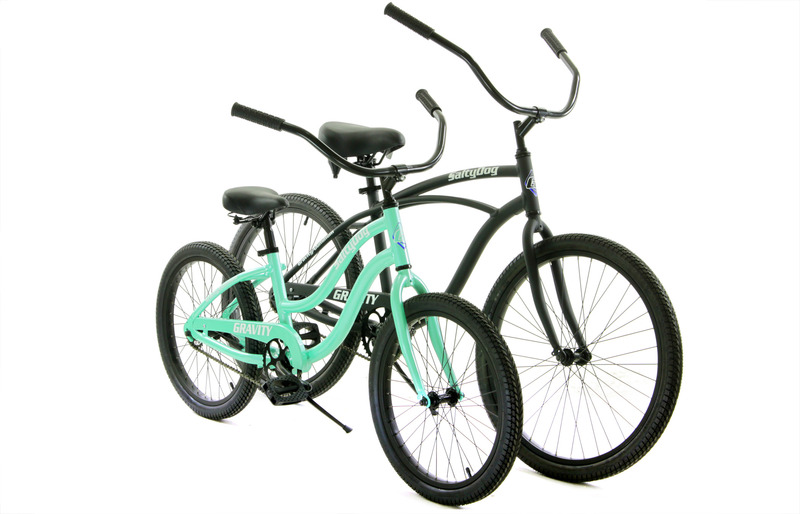 Compare Wheel Sizes Shown: Seafoam Girls 20" and MatteBlack Boys 24"
Compare Wheel Sizes Shown: Girls 20" and Boys 24"
Two Sizes Available - In traditional boys frames with high top bar or girls frames with step-through/lower top bar. SPECIAL NOTICE: Features Aluminum Frames. Unheard of at this price as other cruisers are made of heavier, rust-prone steel. 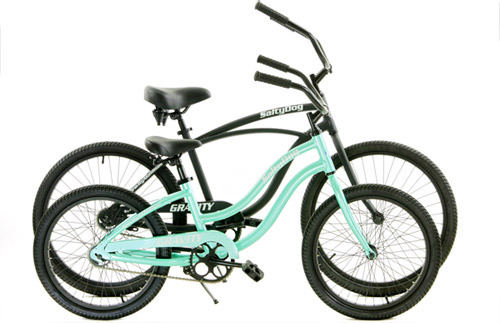 These Gravity Salty Dog Cruisers have frames made of Strong/Light and Rust Proof Aluminum. 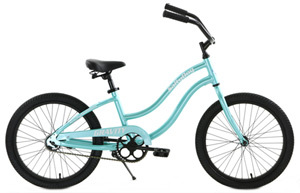 The other best things about the Salty Dog are comfort, convenience, safety and lightweight. The Best beach cruisers are made with Rust Proof Aluminum frames. Why Buy a Steel cruiser bike? Definitely Don't pay more for Steel frame cruiser bikes. These Gravity Salty Dog Cruisers have high grade Aluminum frames.